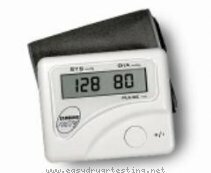 Detox products: Samsung Blood Pressure Monitor. Pass drug tests, passing all drug test. The Heart Sense? Automatic Blood Pressure Monitor This exclusive system uses advanced technology to "sense" exactly how high to inflate the arm cuff, automatically adjusting for each individual user. That means quick, easy blood pressure and pulse measurements every time. It also means comfortable home monitoring because the cuff will never be inflated higher than necessary. Heart Sense? home blood pressure monitors are sensitive to your needs - only from Samsung. Warranty: 2 Years on Main unit and 1 Year on cuff Free large cuff upgrade: As a special offer, Samsung will provide you with a free large cuff (fits 13" to 17" arms) to ensure comfortable and optimum measurements. Once you have purchased your Samsung blood pressure monitor, you will find the Free Coupon offer in each box. Simply complete the coupon and mail! Please allow 4-6 weeks processing time.